Boston Neighborhood Network Media is a proud annual sponsor of the Martin Luther King, Jr. Memorial Breakfast at the Boston Convention and Exhibition Center. 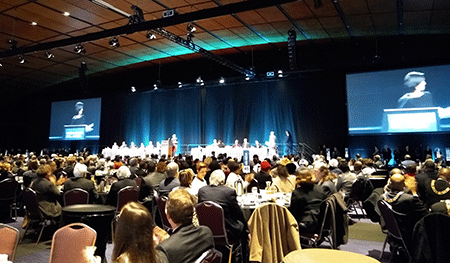 Speakers at the 49th annual event included Govenor Charlie Baker, Mayor Marty Walsh, U.S. Senators Elizabeth Warren and Edward Markey, Attorney General Maura Healy, Senator Sonia Chang-Diaz, Congresswoman Ayanna Pressley, and Boston Police Commissioner William Gross. Boston's Memorial Breakfast is the nation’s longest-running event to honor the legacy of Dr. King. This year’s theme was “Pledge to Carry On King’s Work,” with Keynote Speaker Sheyann Webb-Christburg.